You have most probably just finished your summer travels for this year so here are a few top tips to help future travels while maintaining a healthy diet. After braving crowds, queues cramped seats and air-turbulence, even the most health-conscious air travellers can find themselves searching for comfort in the fatty, salty and sugary foods available in airports and on aircraft. 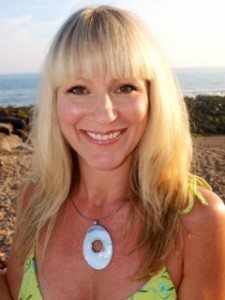 I have encountered all of these annoyances and would like to share with you my tips on how to have a healthier transition to your destination, making you feel less jet lagged on arrival. Your body is essentially under stress when you fly, utilising more nutrients, therefore it is more important than ever to plan ahead and nourish yourself. Always look at the internet to see what restaurants your intended airport has available for pre-flight dining. If possible pre-flight dining is essential as tastes buds become numb at altitude, therefore the airlines add extra salt to your dinner so that your food is tasty. This then dehydrates you further and could raise blood pressure. The healthiest eating in the airport starts at home with pre-assembled snacks. Packing healthy snacks is especially important while traveling, because healthy options can be limited and temptations are everywhere. You are more likely to make a healthy choice of food (if there is one available), than if only faced with higher calorie and higher salt content foods, if you give yourself a healthy alternative. 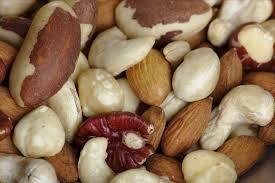 Nuts, seeds and chopped fresh fruit make an excellent choice of snack. 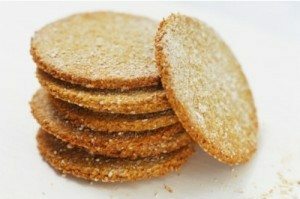 Oat cakes with some nut butter or sugar free peanut butter stored in a small jam jar are also very filling. A homemade sugar free healthy muffin. A salad brought in a container from home or pre-packed salad from your supermarket is a great idea. Although you are not allowed to carry any liquids above 100mls in the cabin at all, you do have to put any liquids that are 100mls or under into your clear plastic bag to be scanned at security. If you have one of those sachets of dressings, don’t forget to place it in the bag provided. Try to choose a light dressing like olive oil and balsamic rather than a cream based one or the calories will start to add up. If you are not able to pack healthy snacks, the airport can offer you healthy take away options. 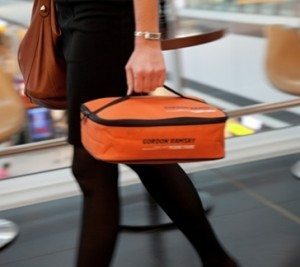 Gordon Ramsey do an excellent pre-order take away service which you pick up on your way through the terminal 5 airport. They even put it in a neat cool bag which you can use again. Their website with further information can be seen here. -Smoked Scottish salmon with an apple, celery and walnut salad. -Honey-roasted beetroot, goat’s cheese, walnut and rocket. -Roasted Hereford rump of beef with green salad and mustard. -Cumbrian honey-roast and Parma ham with slow roast vine tomatoes. 3 courses for £12.95 (choosing fruit salad with vanilla yoghurt as dessert is the healthiest option). There are also delicious sushi restaurants like Itsu, selling pots of yummy 7 vegetable noodles and edamame beans. Many airport restaurants have started offering a healthier fare. 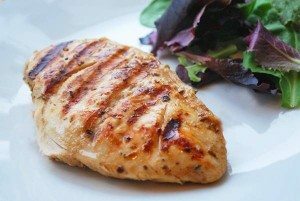 Include options such as grilled chicken breast, side salads, baked potatoes and vegetables. If your lucky enough to fly in business or first class there will usually be a healthier option to choose from on your menu, so ask your friendly cabin crew. As you know, flying can make you very dehydrated, so try to drink a ‘minimum’ of 2 litres of water on a long haul flight. If you do not like solely drinking water, try adding a little fresh fruit juice or piece of lemon/fruit with it. Stay clear of sugary fizzy drinks and concentrated juices. Drinking liquids can give your body a feeling of satiety to help prevent overeating, fight feelings of fatigue and can keep your immune system running at its peak. Limit your alcohol to one or two small glasses of wine whilst you are eating. Alcohol is a stimulant, although you may think that it will help you sleep it actually has the opposite effect. You will awake sooner as well as having a less peaceful sleep on the plane. Drinking non alcoholic, non sugary drinks whilst eating ensures that your blood sugar levels do not spike as dramatically enabling a less disturbed, and overall more satisfying rest.